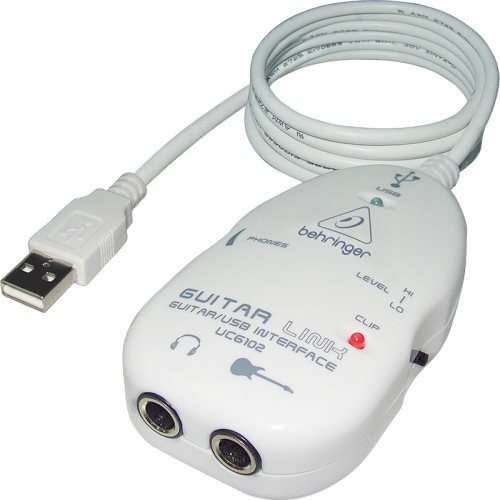 First up I need to point out that this is one of those Behringer devices which saves you money, but doesn't offer a full set of features you would need for professional recording - the main drawback of the Guitar Link UCG102 is that it only has a 16-bit A/D converter. While this is sub-standard when it comes to serious recording, it's perfectly fine for live performance, practicing, and personal recording. When I say cheap I mean it - the list price is $49.99 but most online retailers sell it for just $39.99. Many guitarists will quickly grow tired of the bundled software and want something better. If you want to have a bit of fun plugging your guitar into your computer, then go ahead and get the UCG102, however if you're serious about recording then a least step up to something more suitable like the Peavey AmpKit LiNK HD instead.